The men’s and women’s senior XC teams were both in action for the 1st league race of the season at Newbold Comyn, Leamington. On a gruelling course with thick mud, a short energy sapping hill, a stream crossing and more mud, both teams put in great performances. The women continued their great form following their 6th place finish in the English XC Relays last weekend. Katie Ingle was the first runner home in 9th place, with Megan McBrien 19th, Rebecca Robinson 39th, Miranda Stoddart 70th and Rachel Smith 73rd. The team was 5th. The results are all the more impressive given that all the athletes are running in their first year for the senior team. The men’s race comprised all three divisons and more than 700 runners. Ollie Haradence was first home for the club in 33rd place. The other 1st team scorers were Nick Corker (72nd), Mark Bridges (126th), Dave Long (127th), Russell Simpson (136th) and Simon Corker (152nd). Great performances from the other runners with 20 people competing. In particular, well done to Paul Davey, Matt Stenson, Subudh Dave, and Richard Lewis who were making their XC debuts (always good to pick a nice easy race for your debut!). The team was 15th on the day. 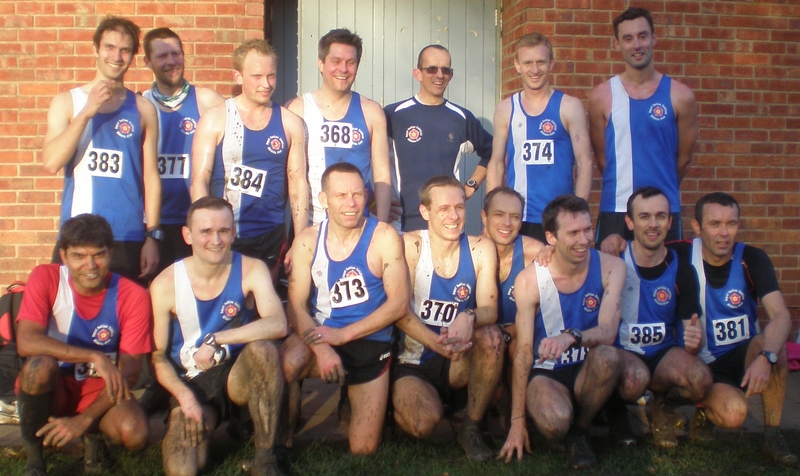 The next race is on 1 December, with the men at Cofton Park and the women at Burbage Common (Hinckley). The men’s results are available here. The women’s results are available here.